Welcome to Sportskeeda’s Tottenham Hotspur transfer round-up – your one-stop shop for all of the Spurs transfer news and rumours during the January window. With a lot of focus right now on the ongoing stadium saga, Spurs aren’t expected to be that active in the market this month – but there’s still some news to go through, with a number of players linked with the side and one big name departing for pastures new, so here goes. One done deal for Tottenham this month was announced on Tuesday, as Belgian midfield stalwart Mousa Dembele has reportedly agreed a move to Chinese Super League side Beijing Guoan for a fee of around £11m. 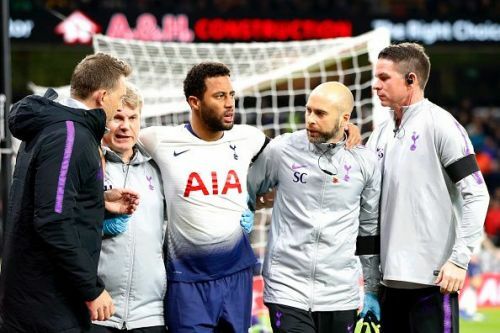 Dembele has been on the periphery this season following an ankle injury against Wolves in November and has seen his place in the Tottenham starting line-up largely usurped by the form of Harry Winks and Moussa Sissoko. Thus far he’s made just 7 starts in the Premier League this season. At 31 years old, time was always running out for the Belgian at Tottenham, and the word in the summer was that the club weren’t going to offer him a contract extension. With his current deal expiring at the end of the season it’s a pleasant surprise for Spurs fans that the club have been able to receive a fee for the player, as he now feels surplus to requirements anyway. Dembele had been at Tottenham since his 2012 move from Fulham and made 243 Premier League appearances for Spurs in the years that followed, scoring 12 goals and delivering 12 assists. His energy in the middle of the park will no doubt be missed by longtime Spurs fans, who will probably wish him good fortune in China.